I can't express how great this set makes me feel. 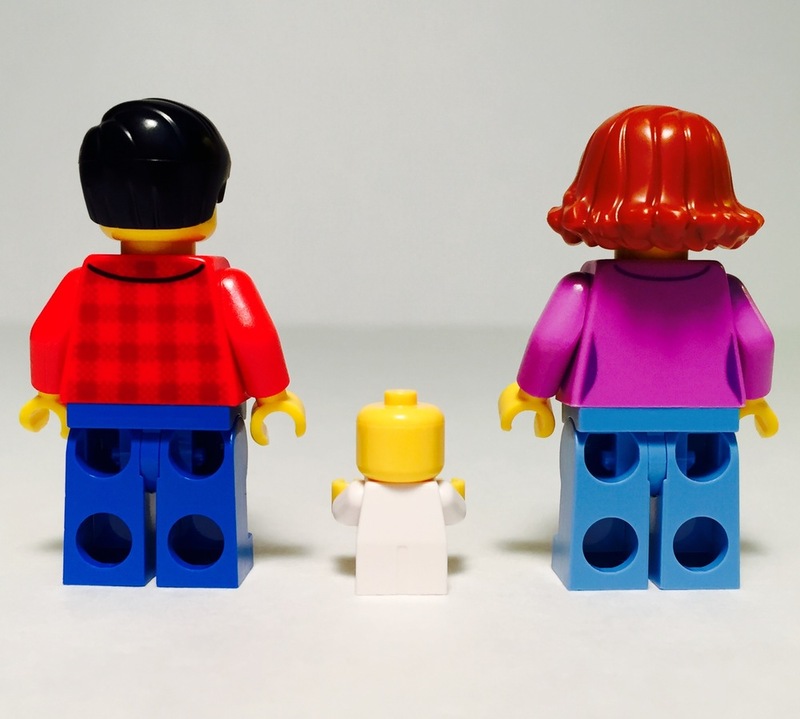 It's just a fantastic, simplistic representation of every day human life built in LEGO. You can almost imagine yourself walking among these characters, watching the business woman waiting for a ride at the bus stop, smiling at the family pushing their baby in the stroller, waving to the grandparents watching their grandchild play on the playground. 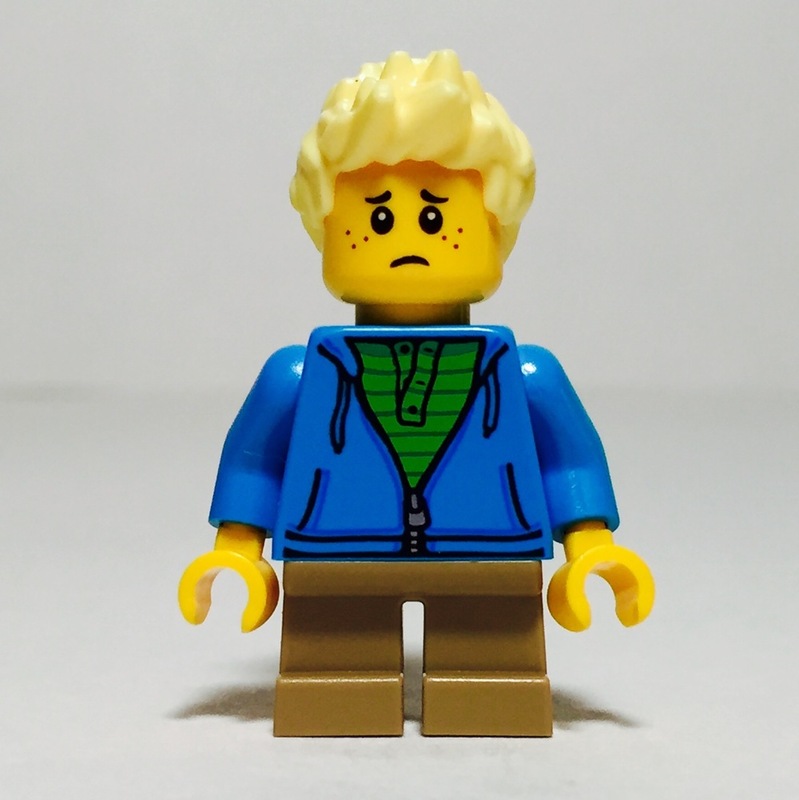 Not to get too overly dramatic about a LEGO set [too late], but this set really taps into the essence of the human condition. The simple scenes of our every day lives - like painting a fence or playing a game of soccer with a friend - which seem insignificant or small when viewed incrementally but are really integral pieces and when put all together make up a human life [really too late with the whole not getting too dramatic thing]. 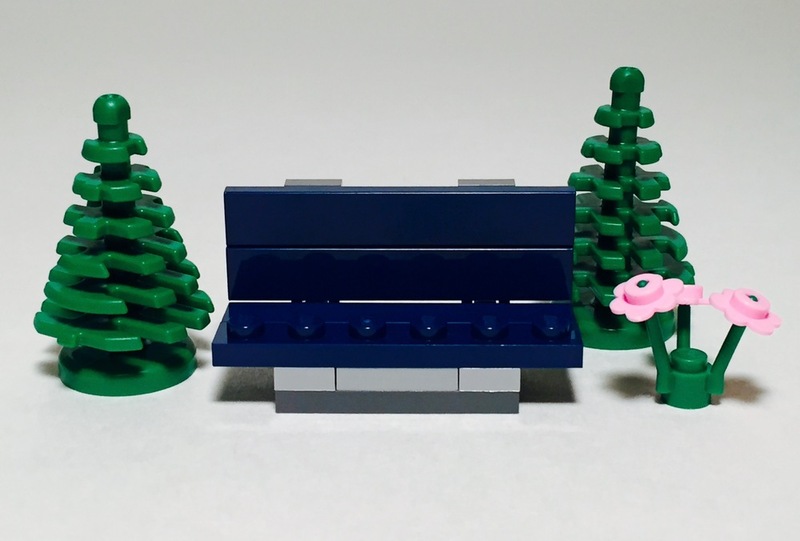 Fun in the Park is one of those rare LEGO sets which any LEGO fan, whether they enjoy City sets and minifigures or prefer Technic or Architecture sets, can appreciate and enjoy. 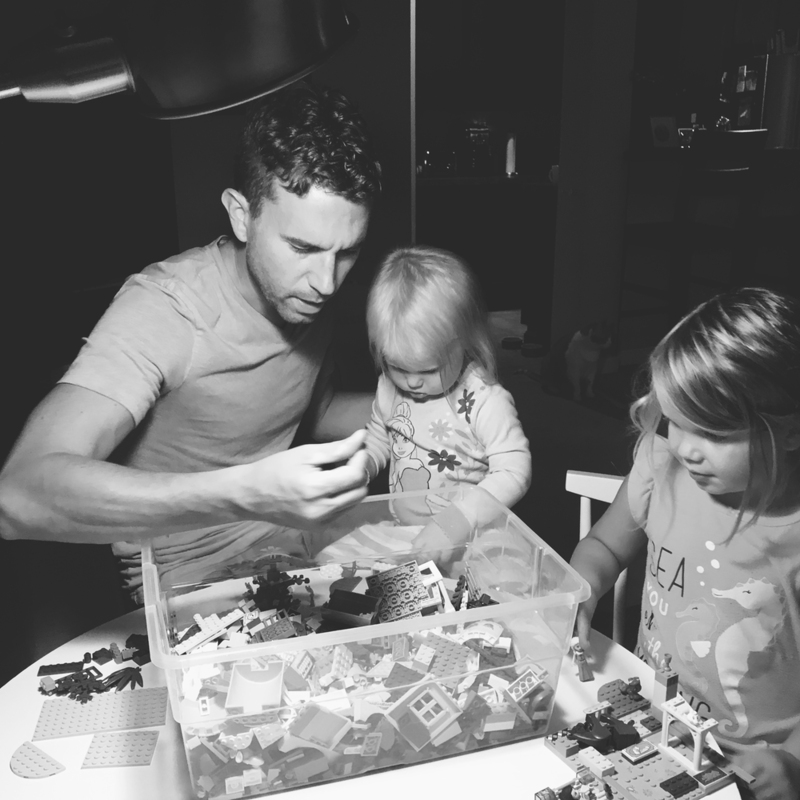 With the inclusion of so many minifigures  along with enough small builds and accessories to keep them all busy, it's really up to the imagination of the child or adult interacting with the set to determine what story each of these minifigures will follow and create. 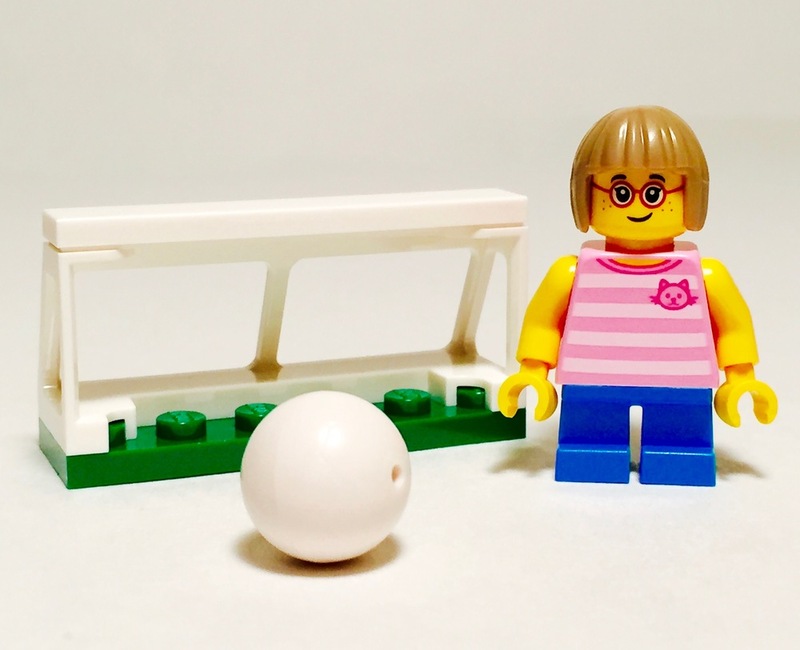 The set hits at the core of what has made LEGO such a success throughout the decades. It's a simple set which represents elements of humanity to which we can all relate while also stimulating our imagination and creativity. With 15 minifigures and enough small builds to comfortably turn a 32x32 baseplate into a packed LEGO park, this set is certainly not lacking in play features. 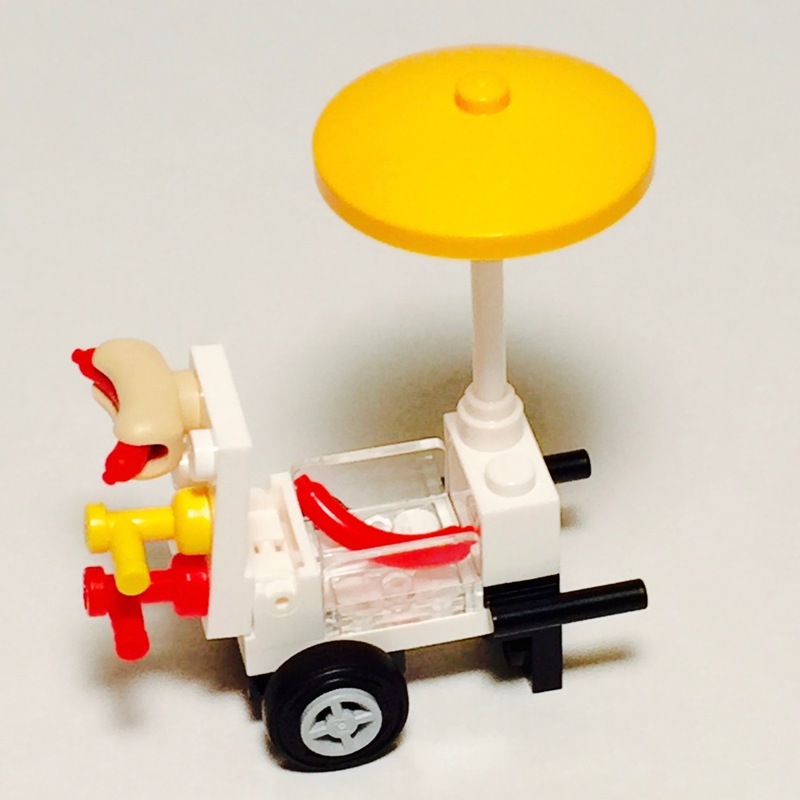 The small builds include a rotating playground roundabout big enough to accommodate four minifigures and give them spin, a lawnmower, a baby stroller, a hot dog stand, a picnic table, a park bench, a soccer goal, and fence meant to be in the process of being painted by one of the minifigures. 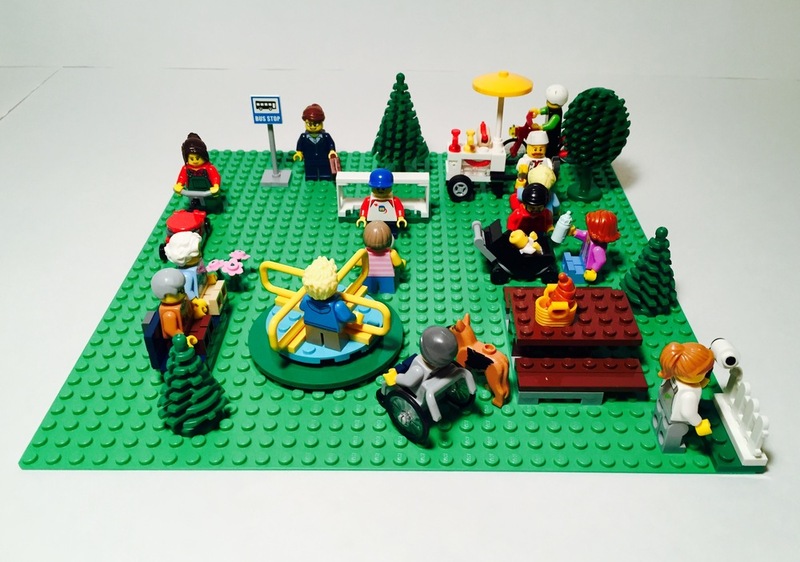 These small builds combined with all the possible interchangeable minifigure configurations available as a result of the set including a total of 15 minifigures, Fun in the Park offers a ton of fun for the kids, for you, or for the whole family. In fact, I built this set with my wife and 3-year-old daughter, and we all had a blast putting this set together and watching it come to life. Speaking of 32x32 baseplates, I would recommend also picking up a 32x32 green base plate with this set. It will only cost you another $8.00, but it creates a landscape onto which you can place your new Fun in the Park set. Including the base plate into the build of this set really enhanced the experience for my three-year-old daughter. Not only did she have a blast putting the set together, but she had an equally fun time deciding where each element of the set should be placed on the base plate. Once we finished the build, we had an instantly displayable park scene all contained within one 32x32 baseplate. Unless you already have an established LEGO City and you're looking to simply add this set to various areas of your established City, adding an eight-dollar base plate to the building experience of this set really enhances the set's playability and overall display value. 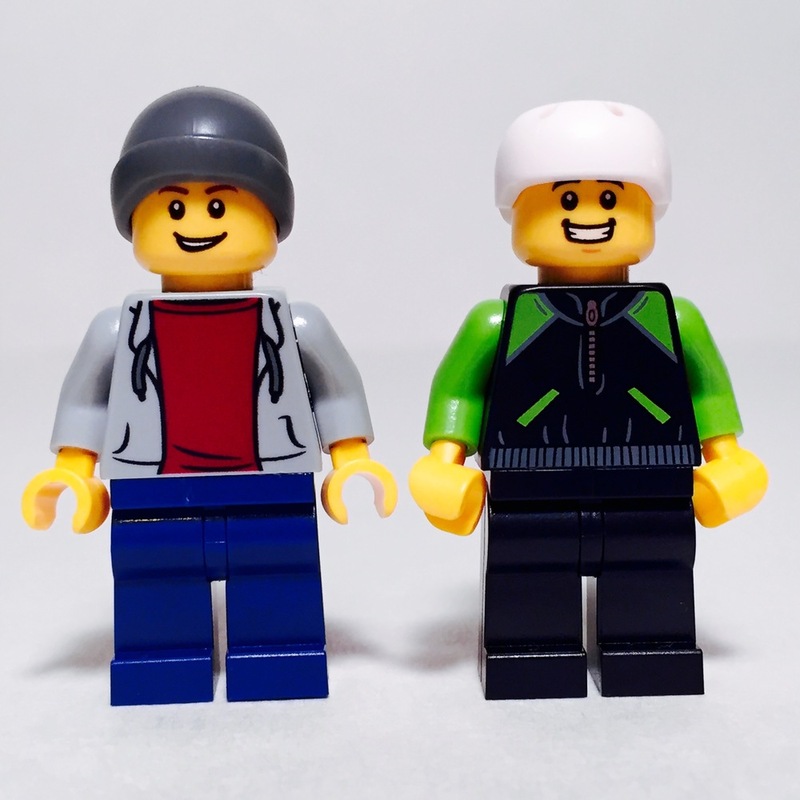 As mentioned above, Fun in the Park includes a whopping 15 minifigures, all of which are great in their own unique way. First up? The children. 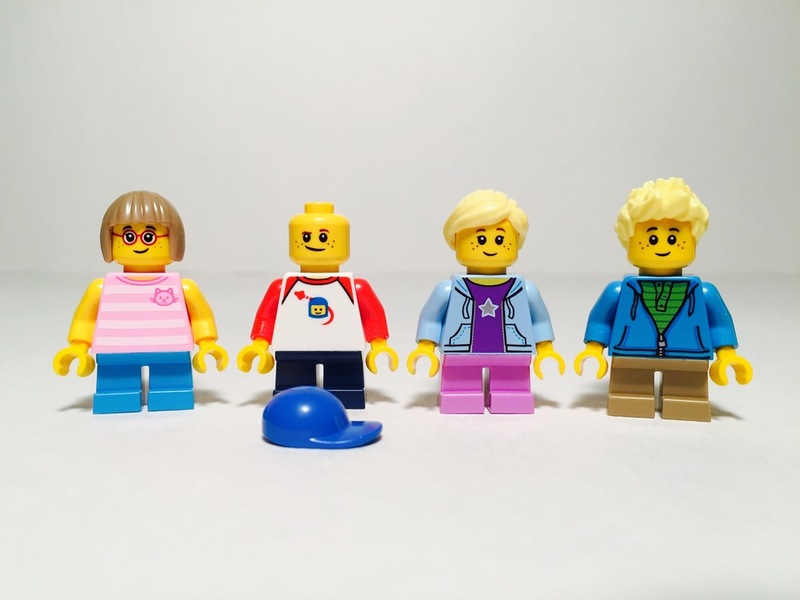 Each child minifigure comes with its own unique torso and head printing. One of the children gets an alternate not-so-happy expression. I particularly appreciate the homage to classic LEGO Space with the head and helmet print of a classic blue LEGO Space man on the front of one of the children's shirt. Of course, children today won't see that as a call back to 1980s LEGO. Instead, they'll think that the minifigure is wearing a shirt with one of their favorite The LEGO Movie characters, Benny. SPACESHIP! You'll notice, as we continue to take closer look at these minifigures, just how diverse the designs and prints are for each minifigure - reinforcing just how great a set this is for any collection. You really get a great variety of LEGO City characters to place around your play sets, LEGO City, and/or MOCs. There has been a lot of talk about two specific inclusions in this set. One of them is certainly the inclusion of the very first LEGO wheel chair. I think the fact that LEGO has finally created and released a LEGO wheelchair is fantastic, and the build is perfect. The two large wheels on the back of the wheelchair are actually slightly larger versions of the standard bicycle wheel and are exclusive to this set. 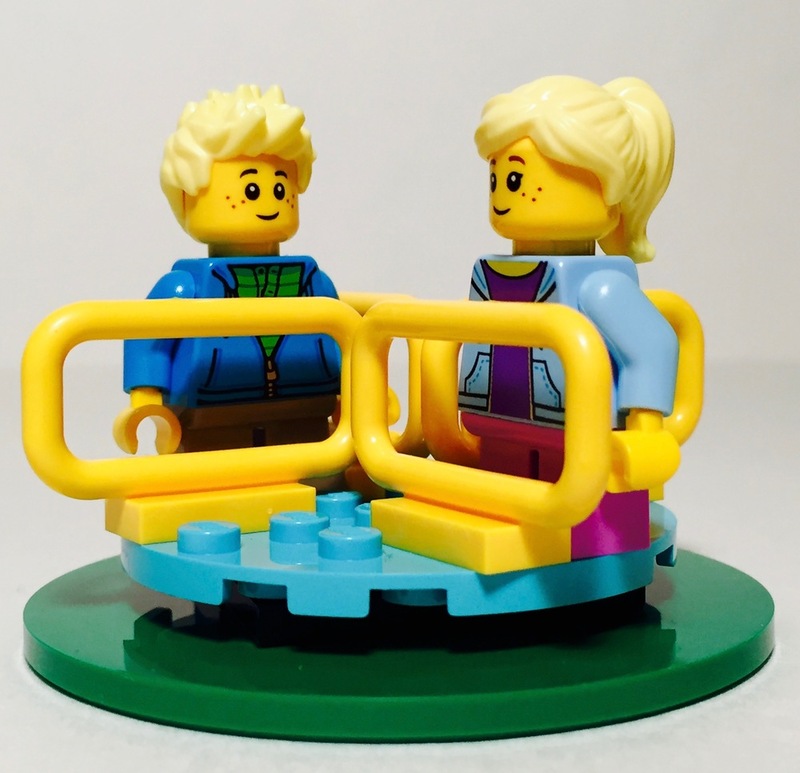 I also love the message behind the minifigure which is intended for the wheelchair. His face print is one of happiness and confidence. He may be handicapped, but he's a happy and completely capable individual. A great message here from LEGO. The bicycle rider is infectiously happy and comes complete with a safety helmet and all. 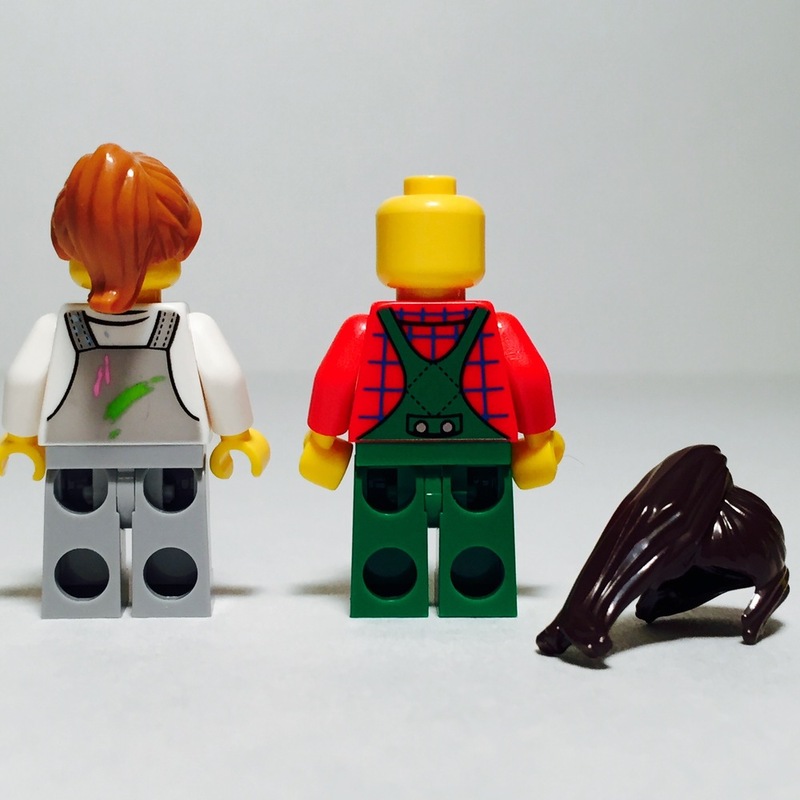 Now, we have the painter and the lawnmower [by the way, these are names which I'm applying to the minifigures - not LEGO]. With more print detail and color combinations than any other minifigure in the set, the painter is a fantastic minifigure and is one of my favorite of the set. Both the front and back of the torso show little splotches of color meant to represent paint marks, and the front of the legs shows a few splotches as well. The painter also is one of the few minifigures in the set to receive an alternate face. Her alternate face shows a lack of confidence with her paint job. 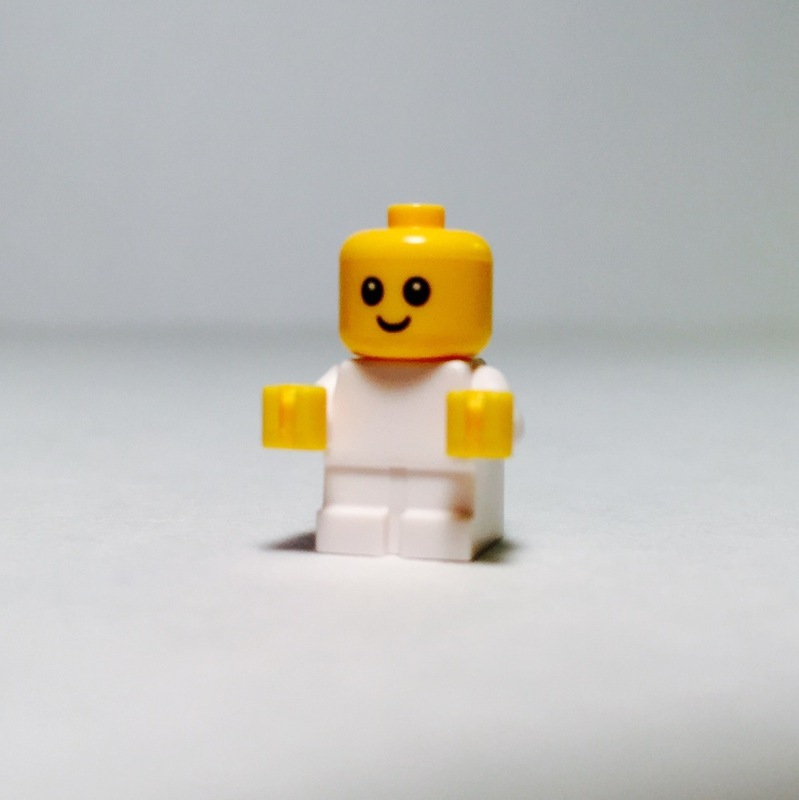 The lawnmower minifigure, like the painter minifigure, displays an overalls print on both the front and back of the torso with some great detail. 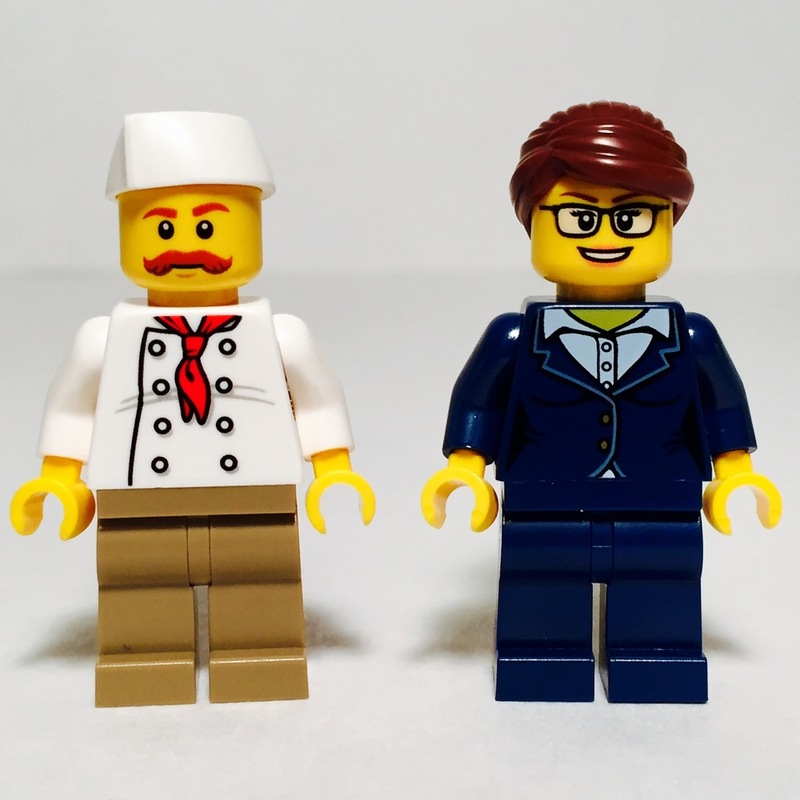 I'm glad to see LEGO make this particular minifigure female, as opposed to male. This whole set has a "we're all equally capable" vibe to it, and this female lawnmower helps to contribute to that positive vibe. Here we have the minifigures that are actually on the job within this fun in the park scene. Unfortunately, even on a beautiful day with perfect park weather some people do have to go to work. The business woman seems a bit more upbeat about this fact than the hot dog vendor [a smell a workaholic, for sure]. 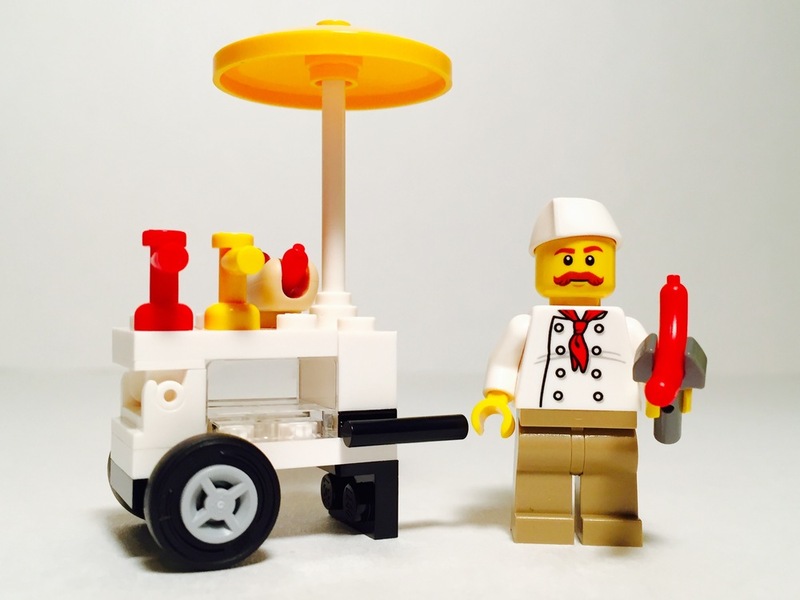 The hot dog vendor has a wonderfully whimsical and cartoonish look to his overall printing and accessories. Let's not beat around the bush here. That mustache is boss. I particularly enjoy his intentionally lop-sided vendor cap. Reminds one of a cook you might have seen in a 1950s diner. The business woman is especially great. The highlight for me here is the hair piece. Very rarely do we get a good, short female hair piece, and the hair piece for the business woman is perfect. It maintains a certain femininity which works wonderfully with the overall design of the minifigure. 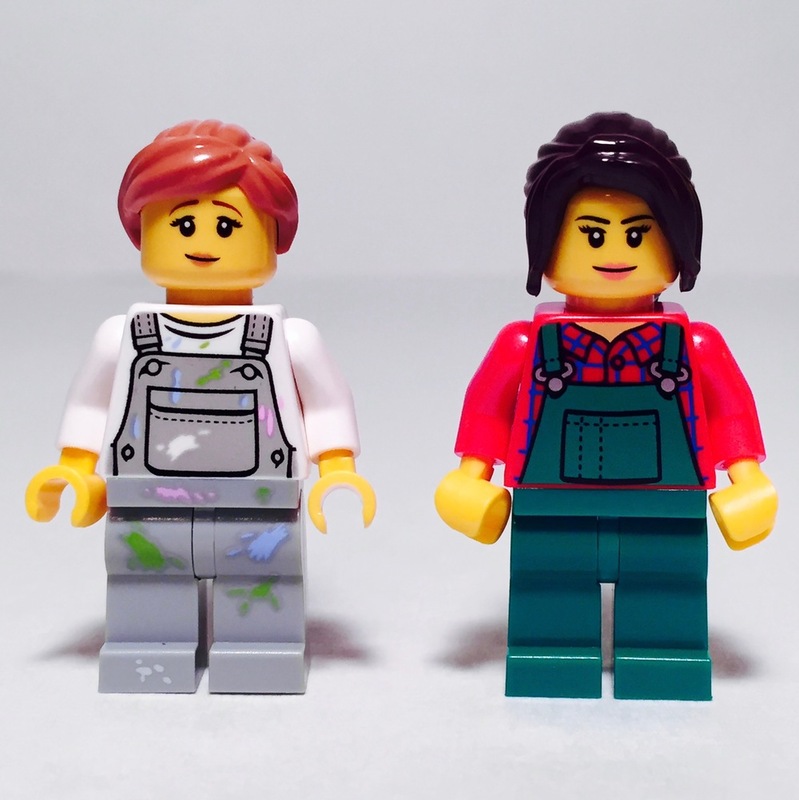 Again, with the business woman and the short hair piece we get another subtle suggestion that LEGO's overall message they want to make with this set is "we're all capable." How adorable is this old couple. Yes, I am making the assumption that they are husband and wife. They certainly may not be, but for the sake of this review they've been together for a lifetime. The head print on the grandmother [yes, now I'm assuming she's also a grandmother], reminds me of my grandmothers and any other grandmother I may have encountered at any point in my life. 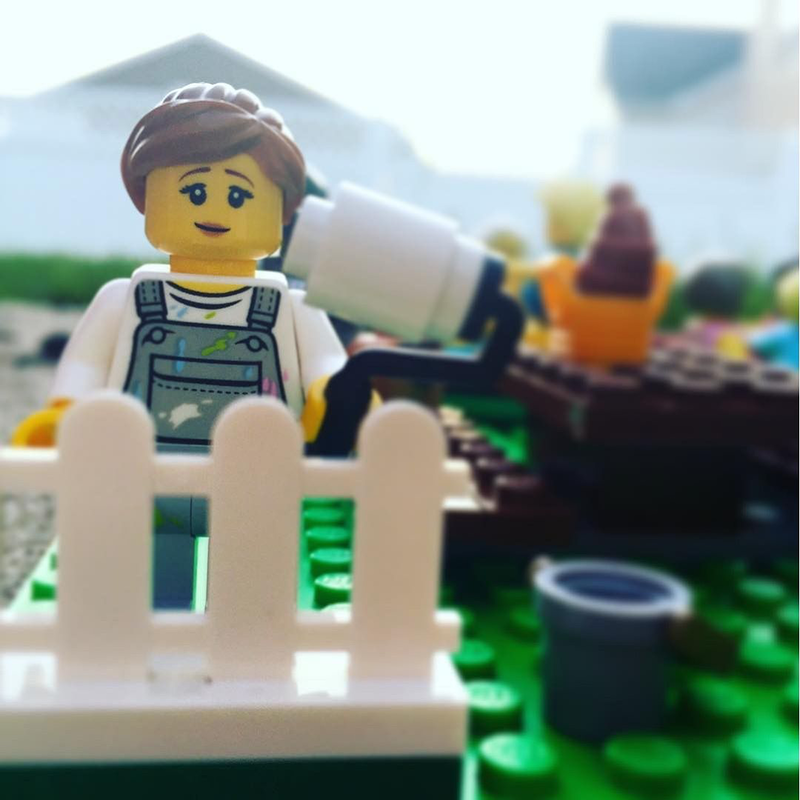 LEGO does a great job of capturing that subtle grandmotherly or motherly expression we've seen a thousand mothers and grandmothers wear. The torso print on the grandmother is another highlight of this set. It has a suburb grandmother-esque detailed sweater print which extends all the way across the back. 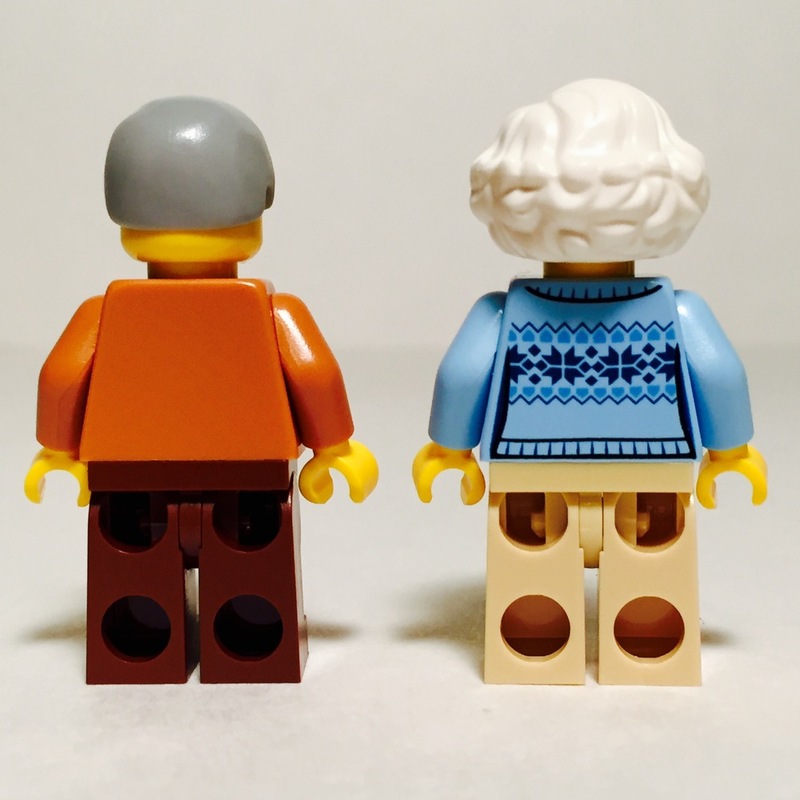 The grandfather minifigure has a similarly wonderfully classic grandfather sweater print on the front of the torso. I would have enjoyed if some of that design made its way to the back of the torso as well, but that might be too hip of a sweater design for a grandfather ["I'm afraid my design-on-the-back days are long gone, sonny"]. Here is the family everyone is talking about. More specifically, here is the baby that everyone is talking about. 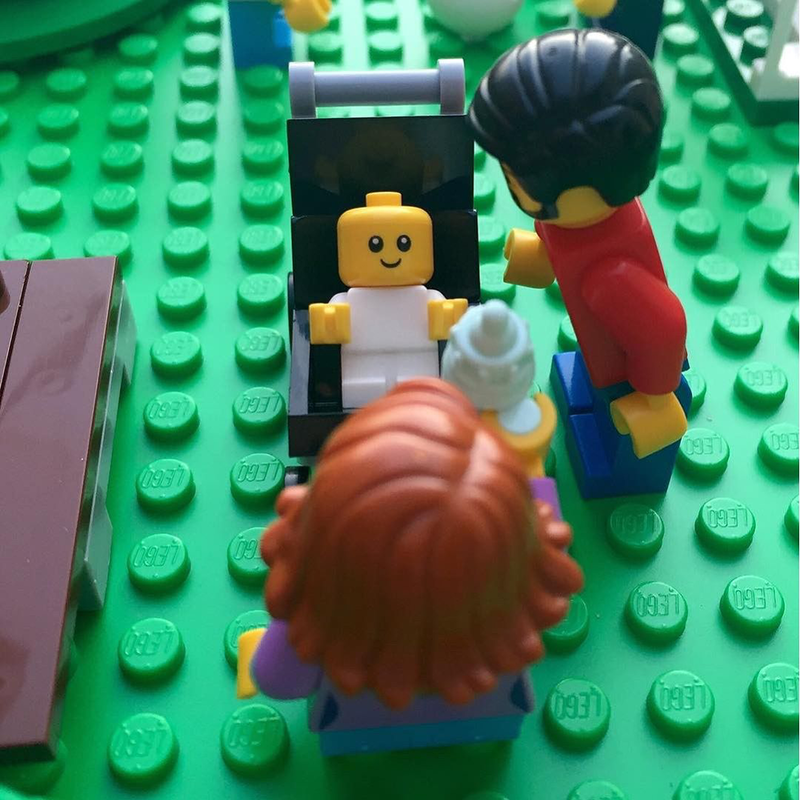 As mentioned above, Fun in the Park includes the very first official LEGO baby, and the itty bitty minifigure absolutely does not disappoint. 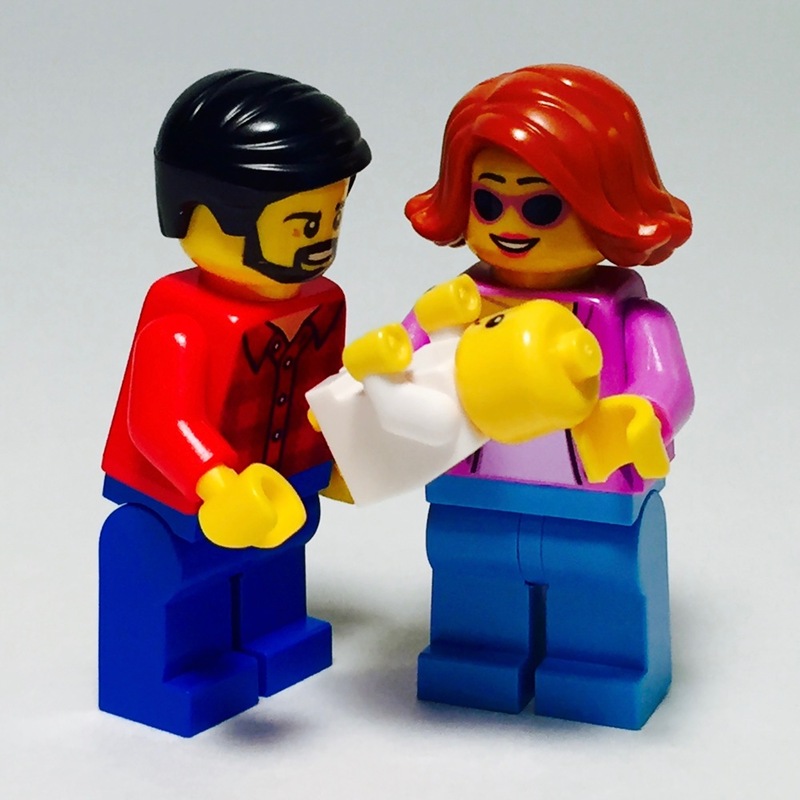 Many other reviewers are saying this, and I have to agree - the LEGO baby looks cute in pictures, but it's even more unbelievably cute and amazing when you see it in person. It's so tiny. The minifigure is roughly the size of an adult finger nail - maybe only slightly larger. 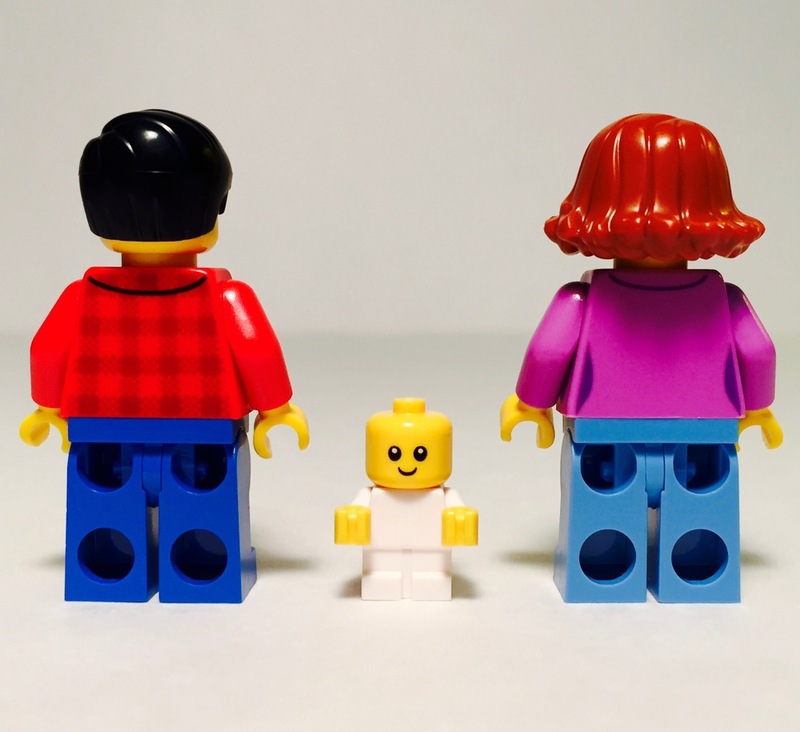 That combined with it's youthful smile, there's no way you won't fall in love with the first LEGO baby. The baby does have a posable, detachable minifigure head, but the arms, legs, and hands are not able to move. It's also not possible to have the baby hold anything, since its hands are so small. 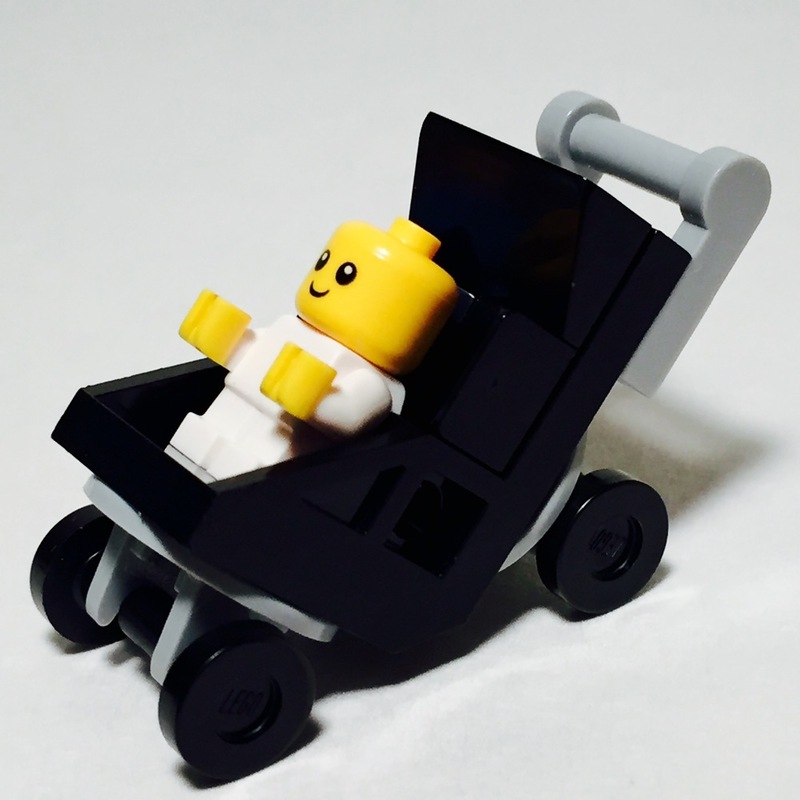 Of course, none of this makes the first LEGO baby any less amazing. The father minifigure has a plaid print on both the front and the back of the torso and a perfectly maintained hipster beard print on the head [it's either hipster of burley - I haven't decided yet]. Am I the only one that thinks the father minifigure looks just like a young George Lucas? 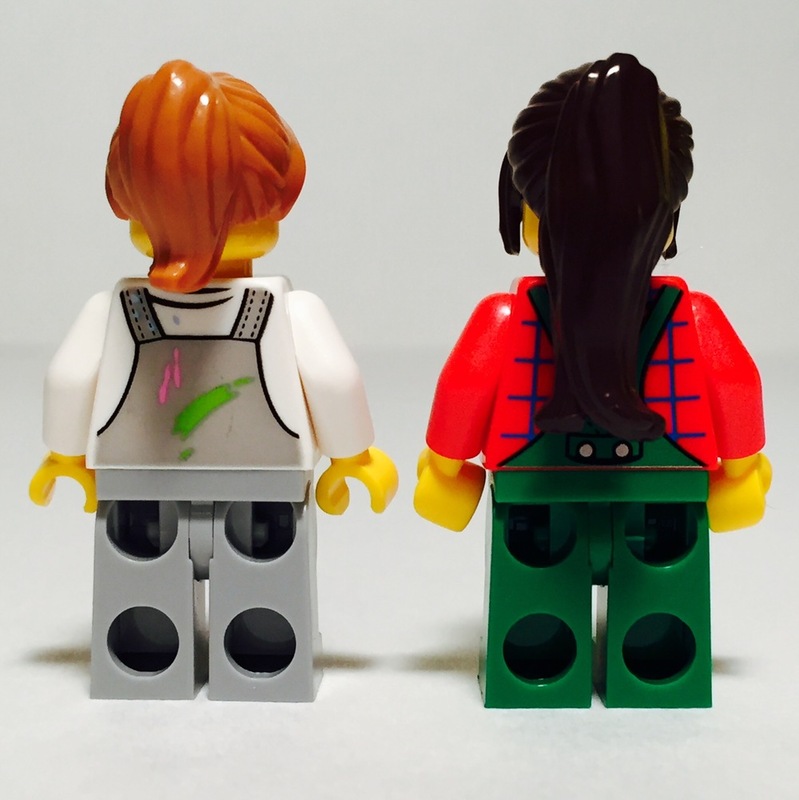 The mother minifigure has a casual, yet colorful button-down print which extends slightly to the back of the torso. The mother also has the coolest alternate face with a sleek pair of sunglasses which nicely match her outfit. 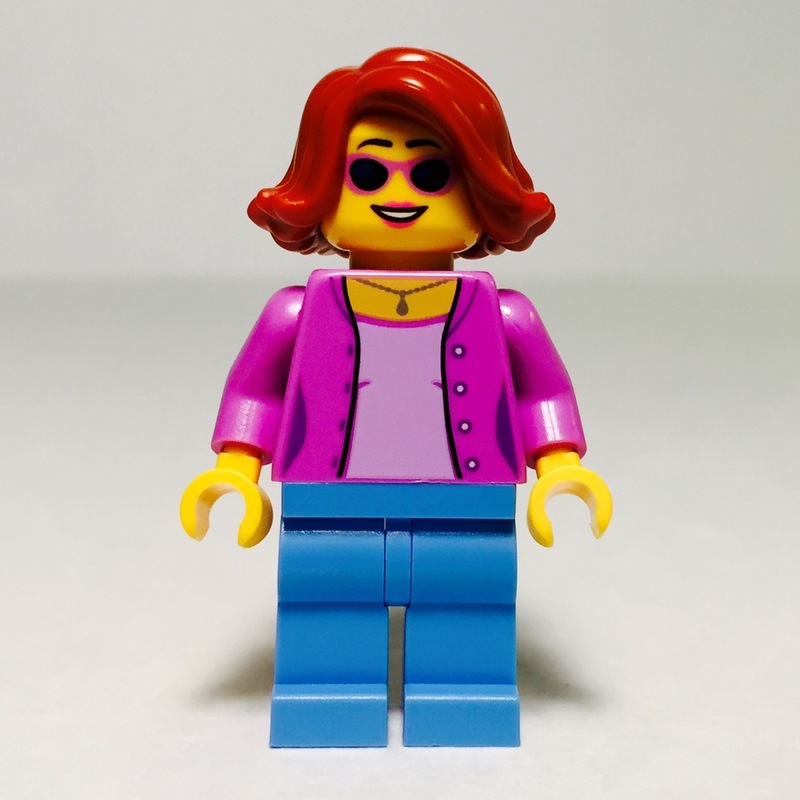 My only complaint regarding the "family" minifigures is that I wish the father minifigure also had an alternate face with a sweet pair of shades, in case that sun just becomes too much for this fun day at the park. 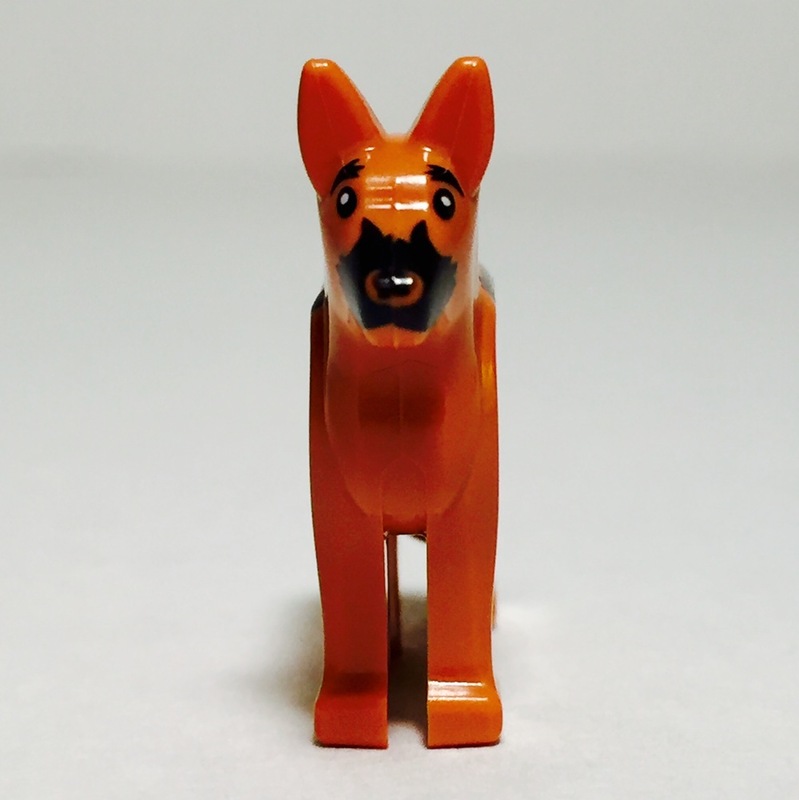 Lastly, and I realize this is not technically a minifigure but ending a review with a cute LEGO dog is always a good way to go, we have a cute LEGO dog which is also included in the set. The dog has black printing on both of its sides and around the nose, as well as prints for the eyes and eye brows. 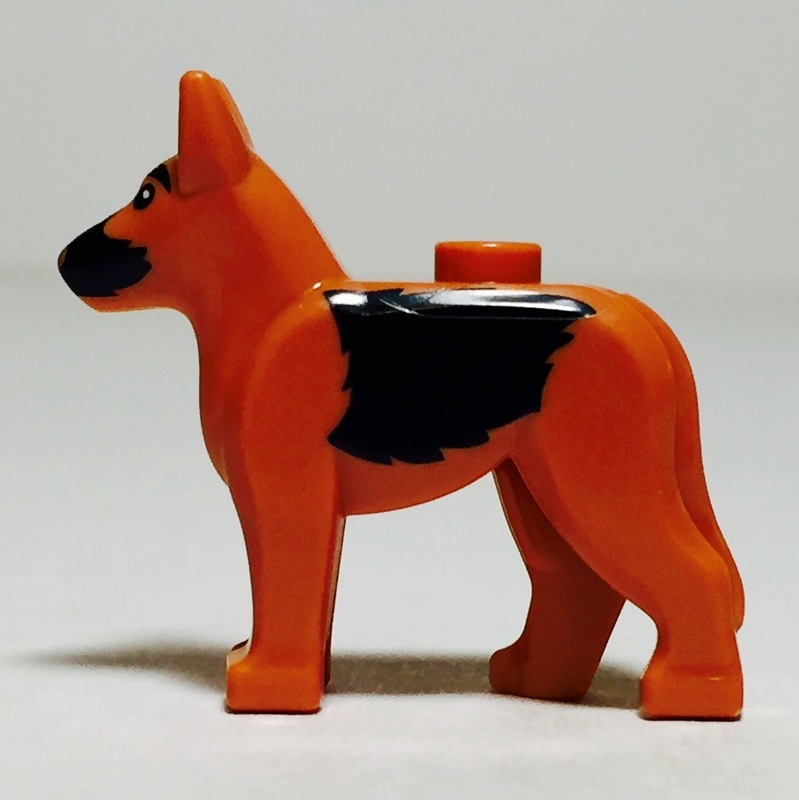 This is your standard LEGO dog which is all one piece of plastic with non-posable legs and a head and includes one stud on the back. There's nothing to complain about here. It's always great to get another LEGO dog for the collection. I know there is a lot of excitement right now over this set, and after putting this set together I can tell you that the excitement is justified. It's one of those LEGO sets which looks great in photographs but looks even better in person. 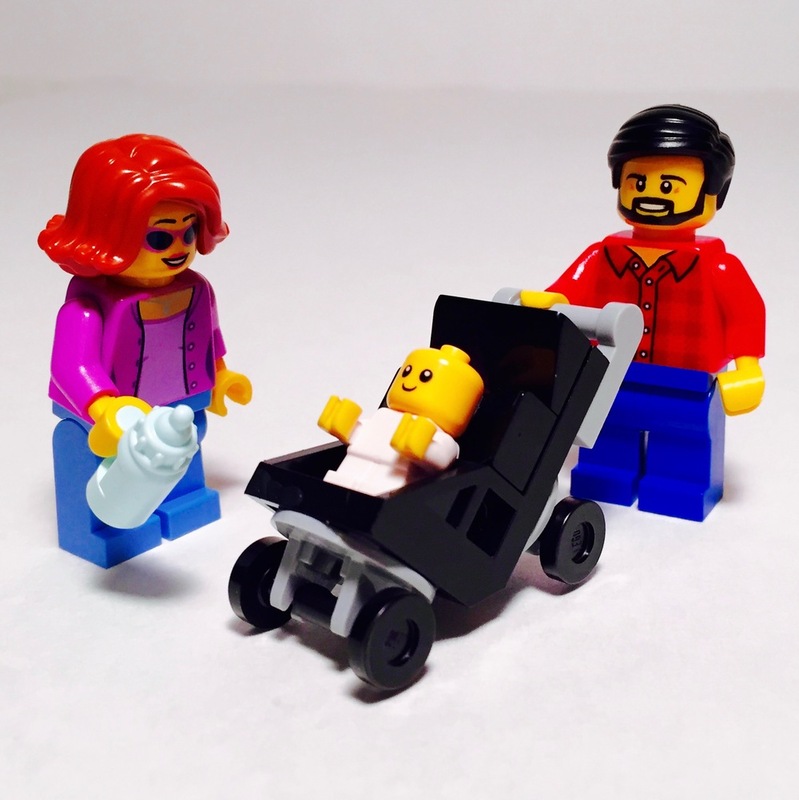 The inclusion of the very first LEGO wheelchair and LEGO baby makes this set an absolute must buy for both casual and serious LEGO fans alike. This is such a positive set. 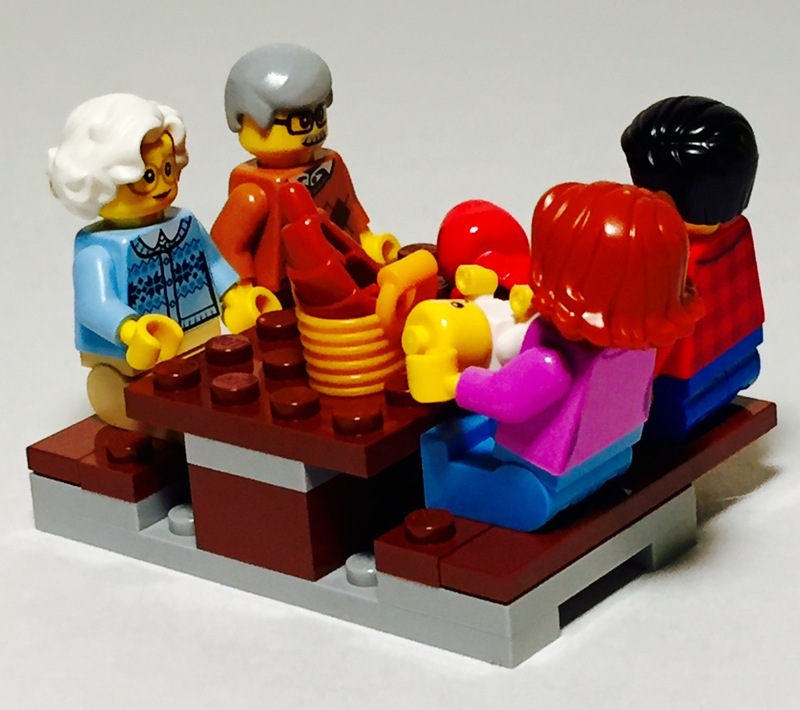 The overall message behind LEGO's choices of minifigures and accessories in this set provides an uplifting "we're all capable regardless of cultural stereotypes, and we all have the potential to find happiness" message. Again, this is a timeless, ageless, and instantly classic LEGO set. I'm sure my future grandchildren will be just as delighted by this set as my children are now.